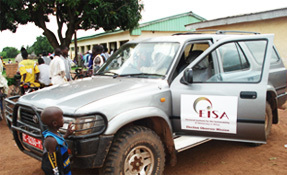 One of the goals of the Memorandum of Understanding between ECCAS and EISA was to support member states engaged in the electoral process in accordance with the Brazzaville Declaration of 7 June 2005. This training was proposed in order to prepare ECCAS to respond effectively to the challenges of organizing elections by a professional, independent and non-partisan EMB in the Member States. 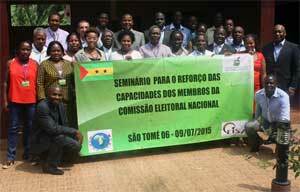 As part of this Memorandum between ECCAS and EISA, the Electoral Unit organized a workshop for the newly installed São Tomé and Príncipe EMB from 6th to 9th of July 2015 in São Tomé. The new Sao Tome and Principe EMB needed a progressive and transformative capability in effectively managing electoral processes that can contribute to improvement of the state of democracy in the country. ECCAS and EISA collaborated to facilitate a workshop where Sao Tome and Principe EMB can benefit from shared experiences. to strengthen knowledge of models and mechanisms for political party funding and campaign finance. A total of 25 participants attended the workshop mainly comprising Commissioners and Senior Management personnel of STP EMB. 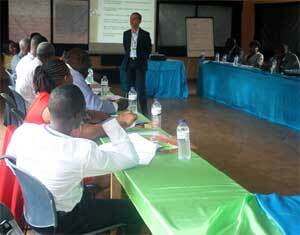 EISA served as the resource institution in terms of facilitating the workshop. Comparative peer experience was provided by the Mozambican STAE. Pursuant to the Memorandum of Understanding (MoU) signed between the Electoral Institute for Sustainable Democracy in Africa (EISA) and the Economic Community of Central African States (ECCAS) in 2010, the two organisations held a collaborative workshop aimed at preparing key stakeholders to contribute to the successful conduct of the 12 October 2014 elections. 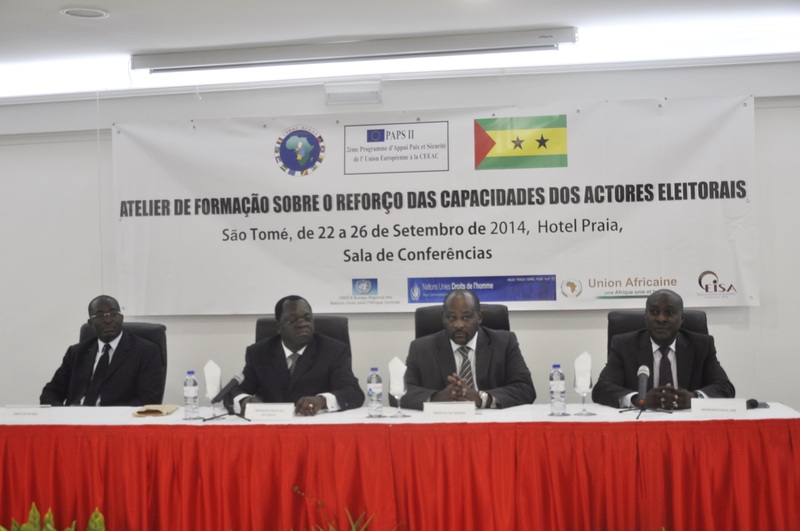 The participants in the ECCAS-convened capacity building workshop which was held on 22-26 September 2014 in the country's capital city, Sao Tome, were drawn from the National Electoral Commission (CNE), the judiciary, security forces, the media, and civil society. Drawing from experiences and lessons-learned from various settings in Africa, EISA facilitated the workshop sessions which generally covered topics relating to institutional and legal framework of election management; the impact of electoral systems on political representation including gender variance; electoral cycle and planning; electoral dispute resolution; and the conduct and importance of election observation. During the workshop, participants were also exposed to international, continental and sub-regional normative frameworks and good practices governing the conduct of democratic elections. This venture is part of the broader objective envisaged in the MoU between EISA and ECCAS aimed at increasing the role and capacity of ECCAS to assess elections as well as provide meaningful electoral assistance to its Member States. As from November 1, 2014, EISA will deploy an electoral expert in Libreville, Gabon, to ensure effective and long term support to ECCAS.